WIND-WORKS: Etienne Rogier on the Operation of France's Post War Wind Turbine "Neyrpic"
French wind historien Etienne Rogier has published an article on French post war wind turbines in the latest issue of the house organ for the Fédération des Moulins de France. The article, Les éoliennes Sogréah-Neyrpic, can be found in Le Monde des Moulins n°63. The article in French isn't currently on line. In the article, Rogier traces the development of one of the two branches of wind turbine development in post war France, that built by the hydroelectric turbine manufacturer in Grenoble, Neyrpic. Sogréah, also located in Grenoble, was what we would call today an engineering think tank. Neyrpic would later become famous for the bulb turbines they developed for EDF’s La Rance tidal barrage—the world’s larg­est tidal power plant that began operation in 1966, despite critics claims it would never work. The Neyrpic project was led by Louis Vadot. Despite the failure of the Neyrpic turbines--there was more than one--Vadot would go on to make major contributions to the development of wind energy. His observations are as pertinent now as they were then. See Everything You Need to Know about Wind Energy Was Written in 1957! For example, Vadot chose asynchronous or induction generators for the Neyrpic turbines because they were readily available and "off-the-shelf". He also argued that series production would lower the cost of wind energy faster than by building bigger and bigger wind turbines. It wasn't until the California wind in the early 1980s boom that his prescient observations were put into practice, leading to the industry we have today. 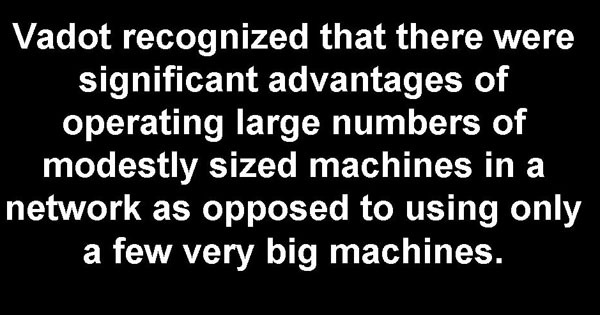 Vadot also is credited with understanding that there were significant advantages of operating large numbers of modestly sized machines in a network as opposed to using only a few very big machines. He also intuitively saw the limitation of Darrieus wind turbines in a 1961 report for the United Nations. "It is very difficult to design and build a practical furling device to protect these machines in high winds,” he said. For him that was the end of the discussion. Vadot also took on ducted turbines in the same UN report. “This system [ducted turbines] has been tried a number of times. It is effective enough in increasing the rotor speed, but is uneconomic, since the entire Venturi-rotor assembly must be kept oriented into the wind.” Vadot said this more than 50 years ago when the most advanced calculator they had was a slide rule—and we’re still trying to reinvent DAWTs today! Rogier's article is another addition to the growing body of literature on early French experimentation with wind energy.